At Winter NAMM 2016 JBL Professional by HARMAN is announcing the EON208P, a portable PA system developed to make legendary sound accessible to small bands, solo artists, coffeehouses, clubs, schools, meetings, worship events and health clubs. Unveiled today, the JBL EON208P builds on the legacy of its predecessor, the JBL EON206P, with Bluetooth® streaming, 8” speakers, an integrated 8-channel mixer and more. 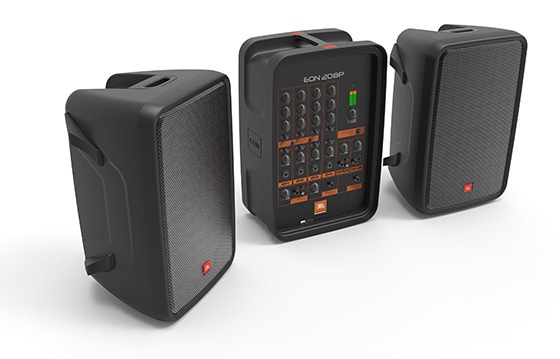 The JBL EON208P system features two loudspeakers housed in versatile enclosures suitable for ground stacking or pole mounting. 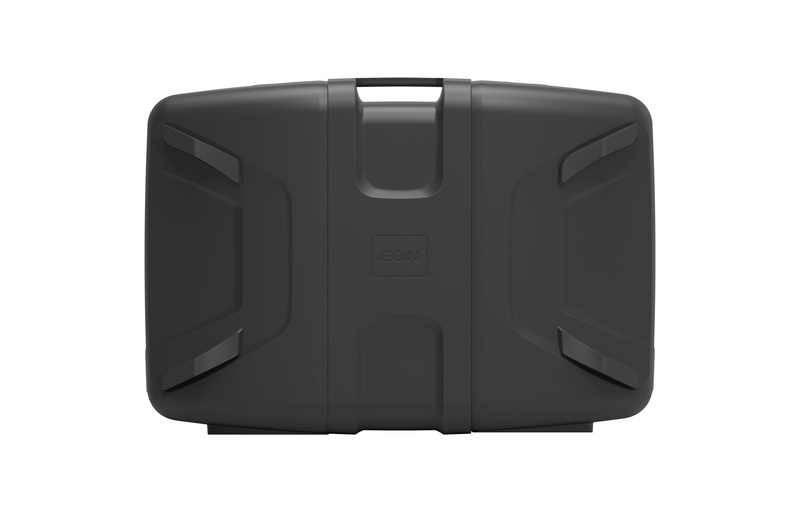 Each loudspeaker features an 8-inch woofer and 1-inch neodymium black nylon dome tweeter powered by a 320-watt power amp section. Like the rest of the JBL EON family, the EON208P features advanced waveguide technology for uniform coverage, and leverages the latest cabinet materials, acoustic science and transducer design for superior sound. The integrated 8-channel mixer provides flexibility for a variety of applications. Channels 1-4 can accept either a ¼-inch instrument cable or an XLR cable—and feature volume, reverb, treble and bass controls—making them perfect for DJs, singers and instrumentalists, and presenters. Additionally, channels 1-3 allow for both phantom power and Hi-Z input, enabling users to directly connect guitars, as well as mics and other devices that require phantom power. Channels 5 and 6 can accept either a stereo pair of ¼-inch TRS plugs or stereo RCA cables, making them ideal for keyboards and media playback devices. Channels 7 and 8 accept a stereo 3.5mm input for mobile devices such as phones and tablets. Lastly, users can connect Bluetooth-enabled devices directly via the Bluetooth pair button. 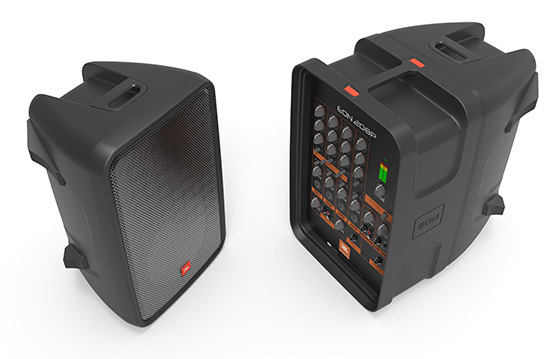 The JBL 208P also offers a highly robust output section, allowing separate channels to run monitors, headphones and a subwoofer channel simultaneously. 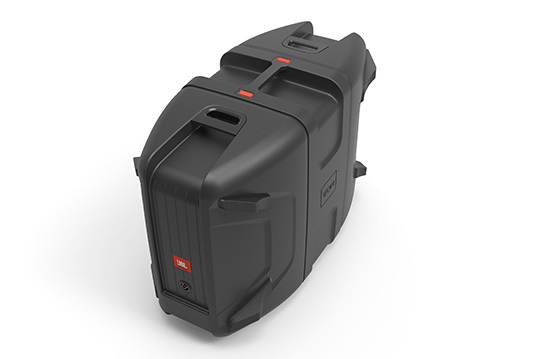 Designed for easy portability, the lightweight JBL EON208P system is contained in a durable suitcase-style enclosure, and can be carried comfortably with just one hand. Convenient top buttons disengage the speakers when ready for use, and a 36mm pole socket facilitates easy mounting. The unit also features space to store the included power and speaker cables. To be confirmed at the time of writing.